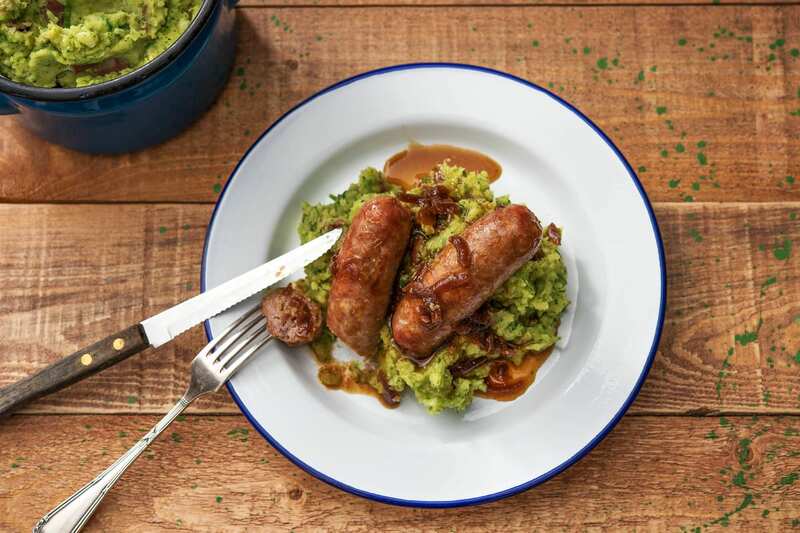 We have added a sneaky HelloFresh twist to the family favourite, sausage and mash, by adding broccoli to the mash! Not only is it creamy and delicious, but with the hidden nutritional benefit of broccoli, it's a real winner! 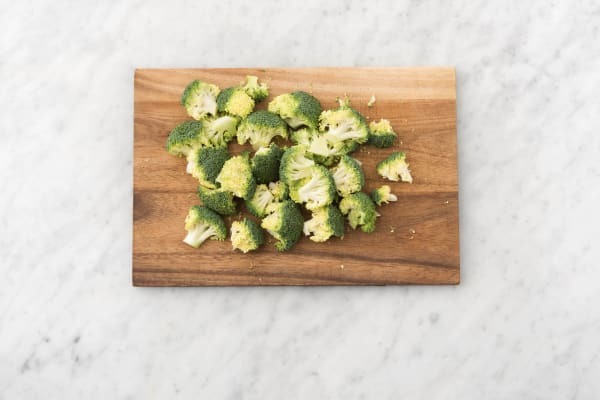 Pop a pot of water, big enough to hold the potato and broccoli, on high heat and add a generous pinch of salt. Preheat your grill to medium-high setting. 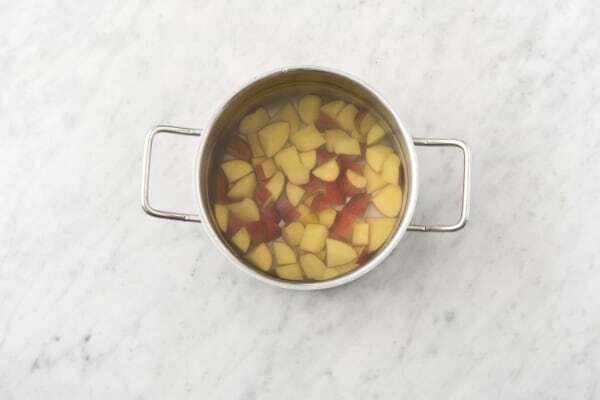 Chop the potato into 2cm chunks (no need to peel!) and add to the water. Bring to the boil, then reduce the heat until gently bubbling. Cook for 20 mins. Meanwhile, cut the broccoli into small florets (small trees!) and keep to one side. Remove the roots from the spring onion and slice as thinly as you can. 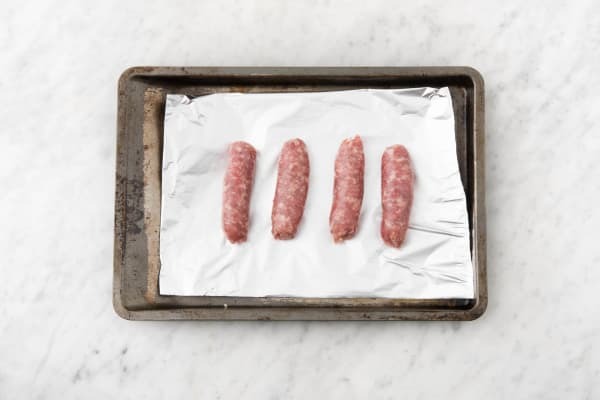 Pop the sausages on a foil lined baking tray and grill for 12-15 mins. Turn every few mins to make sure they cook and brown evenly. Tip:The sausages are cooked when they are no longer pink in the middle. When your potato is almost cooked, add your broccoli to the pot for 5 mins. Tip:They should both be nice and soft so you can mash them easily - you should be able to easily slip a knife through both the potato and the broccoli. Put the red onion marmalade into a small pan and add the water (amount specified in the ingredient list). Bring to the boil over medium heat, add the chicken stock pot and stir to dissolve. 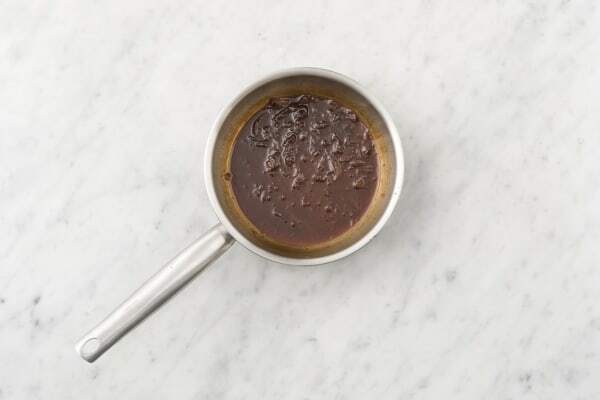 Simmer for 5 mins until your gravy has reduced by half. When your potato and broccoli are ready, drain into a colander and leave for a few mins before returning to the pot. Add the butter and spring onion and mash with a potato masher. Mix well and then season with salt and black pepper to taste. Serve a generous amount of broccoli mash in the centre of your plate, top with your spicy sausage and then spoon over your red onion gravy. Yum!